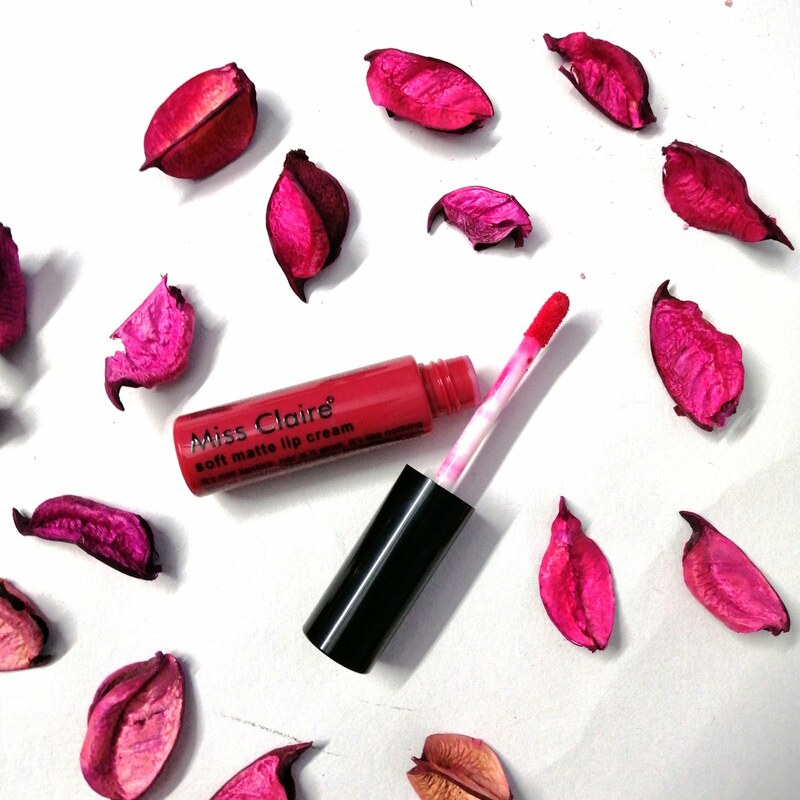 if you have been following Crazy Nailzz for some time, you must have seen my current obsession with Miss Claire beauty products. Since the day this brand is launched online, I have bought several pieces from here. 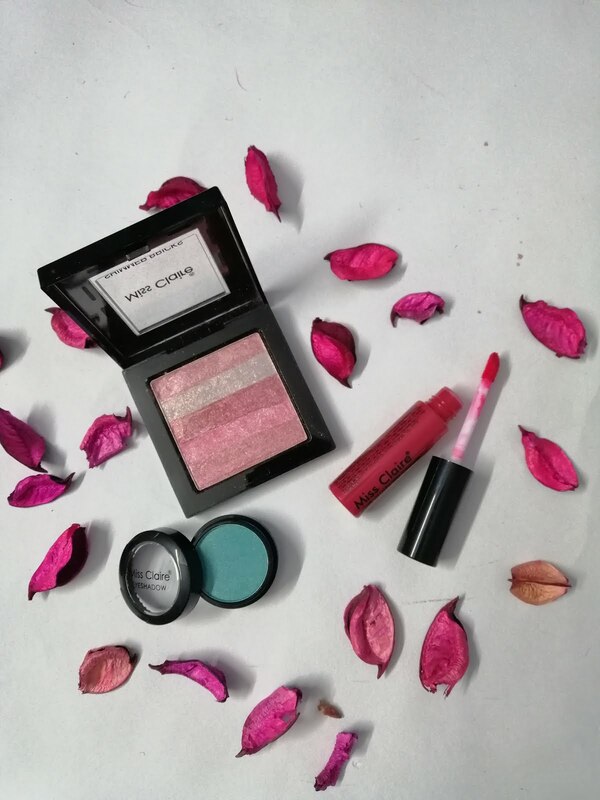 From nail polishes to lip crayons to eyeliners, I have got them all. 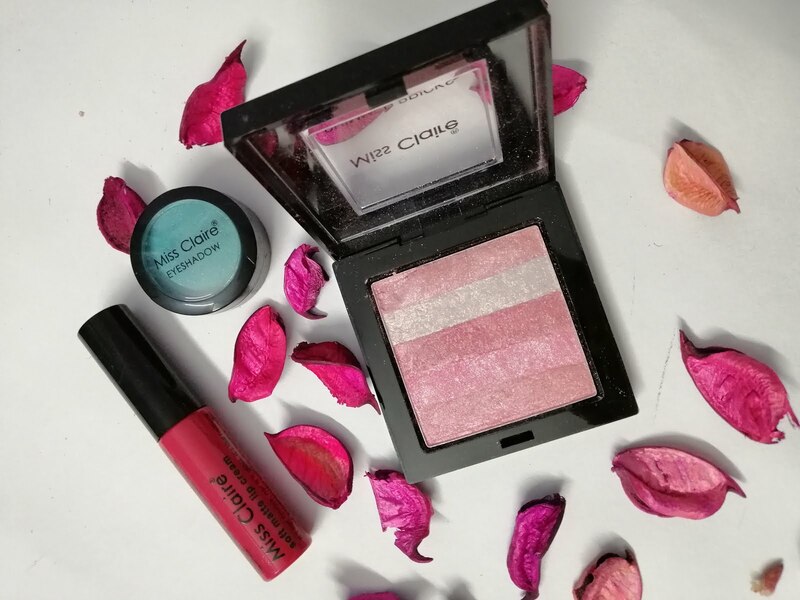 Adding to my Miss Claire cosmetic haul, I am here today with my current select favourites from the brand. Before starting ahead, if you want to read about my rest of the Miss Claire Haul, here are the links for you! Did you also love multi-tasking makeup? 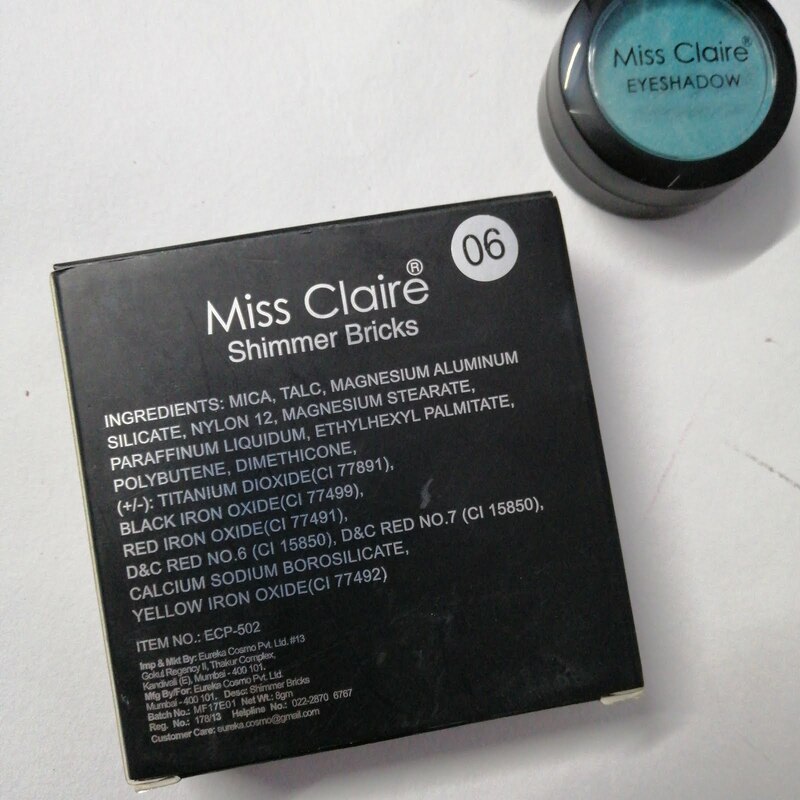 Invest in this Miss Claire Shimmer Brick for a radiant complexion with just a hint of shimmer. 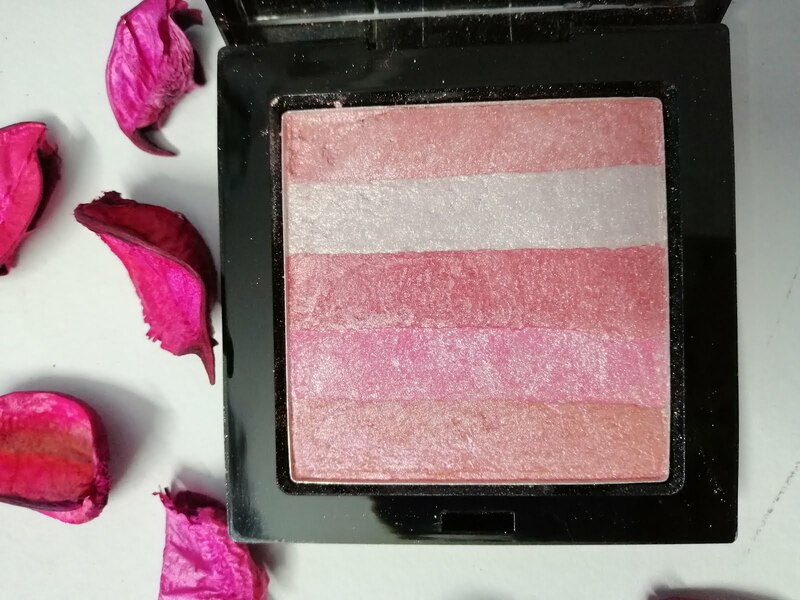 Simply draw your brush through the five shades in the palette to create the perfect blend of colour, and then dust lightly onto your cheekbones, for an instant glow that looks beautifully sun-kissed. This is Shade number 06. 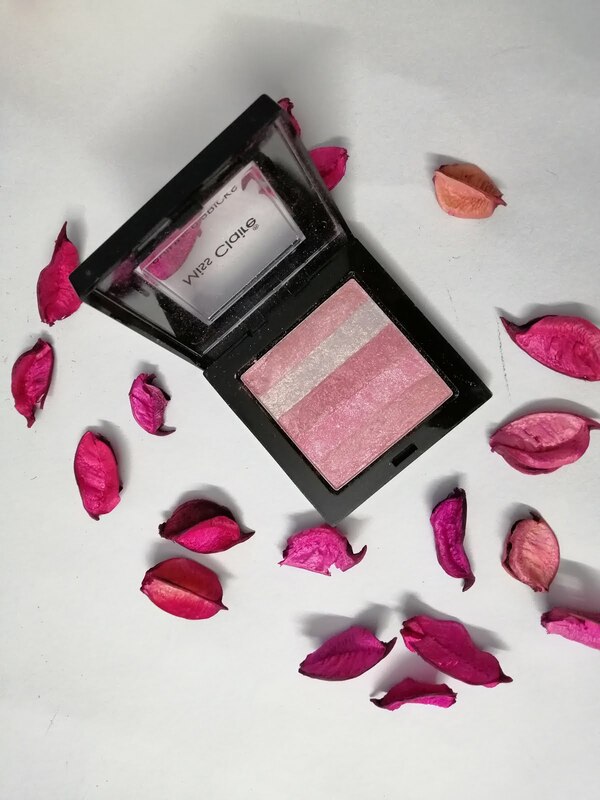 Containing 5 different shades of white, pink, orange, coral and light copper, all of them are great for the fair, wheatish and dusky complexion. Highlights well with minute shimmers. This is shade number 35 which is a mix of fuschia and red. Pinkish red I suppose. In the image on the website, it was shown as much lighter and on pink side but in reality is sort of red. I got this free with my purchase and with the size it seems to be a sample piece but actually has a good quantity. 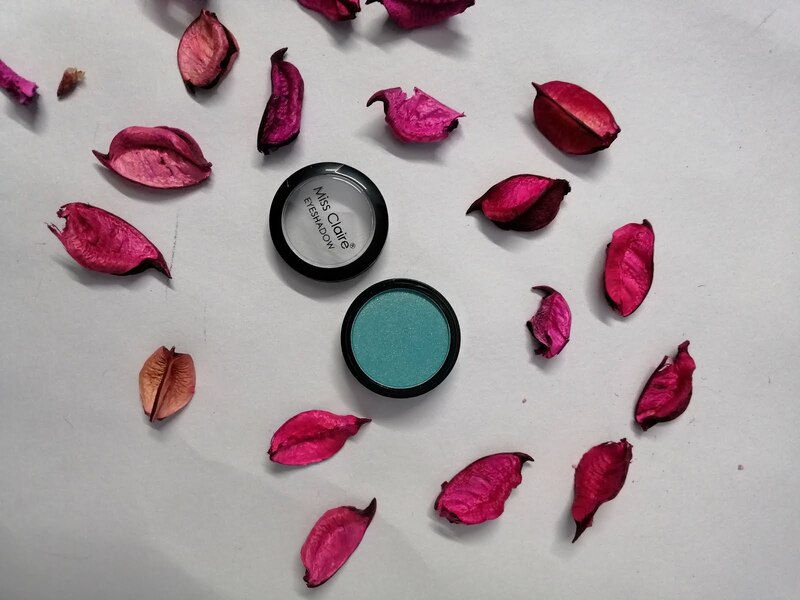 It is a pretty turquoise shade with golden undertones. Smooth powdery finish which helps in blending it perfectly but the colour turn out is a bit less. I wish it had a little more pigmentation. Overall, at the price range Miss Claire is marked, quantity and quality is not something I can complain about. 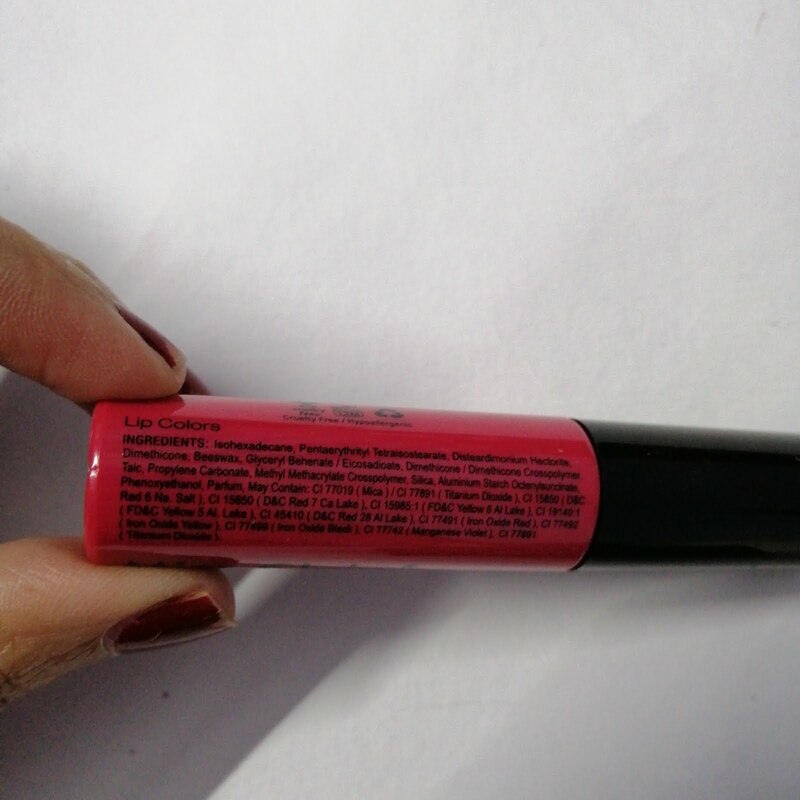 I just wish it to have a little versatility in shades available in lip crayons and liquid lipsticks. Have you bought it? Share your thoughts with me in the comments below!